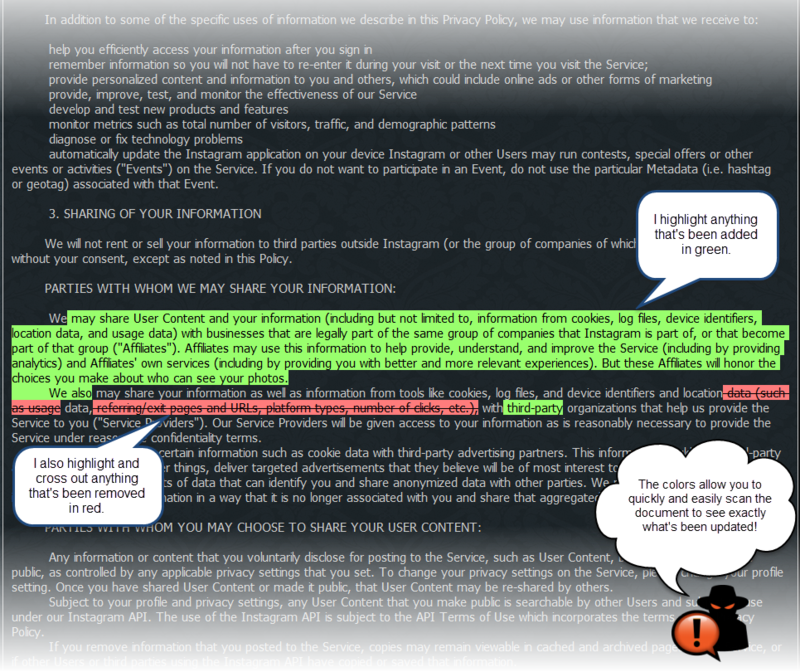 the privacy policies that apply to subscribers to each Comcast product and service. A special note about children: This website is not directed to children under the age of 13, and Comcast does not knowingly collect personally identifiable information from anyone under the age of 18 on this website unless expressly specified on the appropriate pages of the website. However, some pages of the website may be of interest to children. On those pages, Comcast or its service providers may provide a special notice or other information describing any additional privacy protections that may apply. Children should always get permission from a parent or legal guardian before sending any information about themselves (such as their names, e-mail addresses, and telephone numbers) over the Internet, to us or to anyone else. The information collected by Comcast falls into two categories: (1) information voluntarily supplied by visitors to and users of the website and (2) tracking information recorded as visitors and users navigate through the website. Some of this information is personally identifiable information, but much of it is not. Personally identifiable information is information that identifies a particular person. The more you tell us about yourself, the more value we can offer you. Supplying this information is entirely voluntary. But if you choose not to supply the information, we may be unable to provide you with the products and services we make available to other users of and visitors to our website. And you will not be able to order selected products or services, or automate payments, over our website unless you provide certain personally identifiable information about yourself. When you submit any personally identifiable information over this website, Comcast (i) will use the information for the purposes described at the time you submit it (for example, your name, address, telephone number, and e-mail address provided while ordering one of our products or services will be used in connection with the processing and fulfillment of your order) and (ii) may use the information to contact you to make you aware of other products and services of interest. Of course, if you want to remain completely anonymous, you're still free to take advantage of the publicly available content on our website without registration. Comcast is participating in the World Wide Web Consortium's (W3C) process to develop a "Do Not Track" Standard. Since the definitions and rules for such a standard have not yet been defined, Comcast does not yet respond to "Do Not Track" signals sent from browsers. You may opt out of receiving cookies from the companies that provide services on this website by going to www.comcast.com/preferences and following the instructions there. You may also contact Comcast at 1-800-XFINITY to ask to be placed on our do not mail list. Comcast's affiliated websites are members of the Digital Advertising Alliance (DAA), which permits you to opt out of receiving online behavioral advertising by making choices at http://www.aboutads.info/choices . We comply with the rules of the DAA's ad choices program. We consider the personally identifiable information contained in our business records to be confidential. We may sometimes disclose personally identifiable information about you to our affiliates or to others who work for us. We may also disclose personally identifiable information about you to service providers and vendors, and to others who provide products and services to us. For example, when you use certain functions on this website you may notice that the website actually collecting or processing the information may be other than a Comcast website. We may be required by law or legal process to disclose certain personally identifiable information about you to lawyers and parties in connection with litigation and to law enforcement personnel. For example, we may be required by law to disclose personally identifiable information about you without your consent and without notice in order to comply with a valid legal process such as a subpoena, court order, or search warrant. What Do We Do To Personalize Your Use Of This Website And The Advertisements That May Be Presented To You On Other Websites? We, or our advertising providers, may automatically deliver ads for third-party products as well as promotions and offers for our own products and services, to all users of this website, whether the users are registered or not, based on non-personal information including: (i) the IP address associated with your computer for purposes of determining your approximate geographic location; (ii) the type of web page that is being displayed, such as a page about Xfinity Internet; or (iii) the content on the page that is shown, such as an FAQ about programming your DVR. Because this activity automatically applies to all users and it is purely contextual, this type of content delivery cannot be customized or controlled by individual users. The cookies we use don't directly identify visitors to or users of our website as particular persons. Rather, they contain information sufficient to simplify and improve a visitor's or user's experience on our website. For example, we may use session-based cookies to track the pages on our website visited by our users. We can build a better website if we know which pages our users are visiting and how often. Or, we may use persistent cookies to simplify access to a user's account information over our website, for example. In connection with the standard operation of Comcast's systems, certain non-personally identifiable information about visitors to this website is recorded. This information is used primarily to tailor and enhance visitors' experience using the website. We may use this information in an aggregate, non-personally identifiable form to, among other things, measure the use of our website and determine which products and services are the most popular with website visitors. Sometimes Comcast offers different versions of and subscription plans for our products and services in different areas of the country. When you visit this website, we may use the internet protocol address associated with your computer to try to determine your general geographic area so that we can show you about the general offers for products and services that are available in your region. When you are interested in a specific product or service, we may also invite you to enter an address to determine exactly which offer, product or service is available to you. If you are already a Comcast customer and you log in to your account, we will use the address associated with your account to select available offers. Where Do We Permit Visitors And Users To Opt In Or Out Of Comcast Promotional E-Mail Or Direct Mail? You may choose to receive, or not receive, promotional e-mails about Comcast's products and services by going to the Internet web page located at www.comcast.com/preferences and following the instructions there. If you have otherwise provided your e-mail address to Comcast, or Comcast has already obtained it, then Comcast may have already contacted you about receiving promotional e-mails separately. You may contact Comcast at 1-800-COMCAST to ask us to put your name on our internal company "do not mail" list so that you do not receive marketing or promotional postal mail from us or made at our request. All information gathered on our website is stored within a database accessible only to Comcast and its specifically authorized contractors and vendors. However, as effective as any security measure implemented by Comcast may be, no security system is impenetrable. We cannot guarantee the complete security of our database, nor can we guarantee that information you supply won't be intercepted while being transmitted to us over the Internet. If you don't want us to know any particular information about you, don't include it in anything that you submit or post to this website or send to us in e-mail. You may review and change personally identifiable information that you provide to us through this website by returning to the pages where you entered it, and reviewing or changing the information directly. You may also request changes to some information, such as billing and account information if you are a Comcast customer, by calling Comcast at 1-800-COMCAST, if you are able to verify your identity using a Comcast account number, personal identification number or PIN, or another identifier requested by Comcast. We may change this privacy statement from time to time. If we change this privacy statement at some point in the future, we'll post the changes on our website and by continuing to use the website after we post any changes, you accept and agree to this privacy statement, as modified.